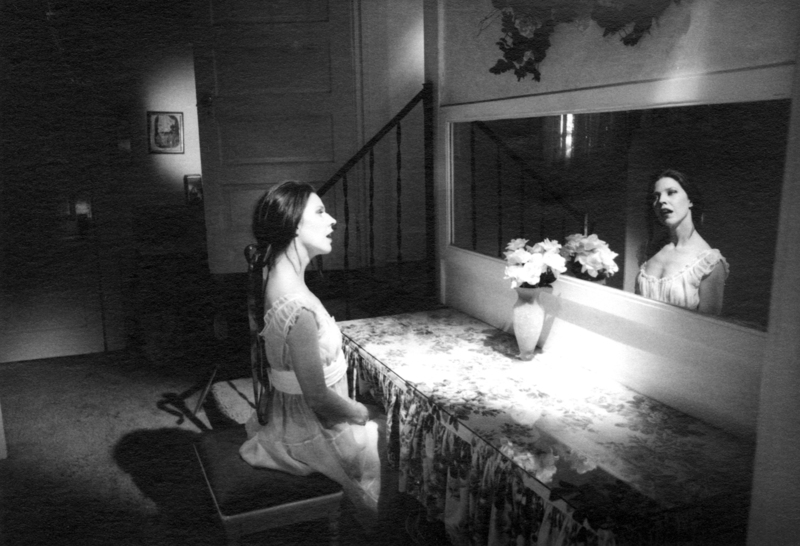 For the past few years, Catherine Sullivan has created works that combine performance, video installation and traditional theater techniques. 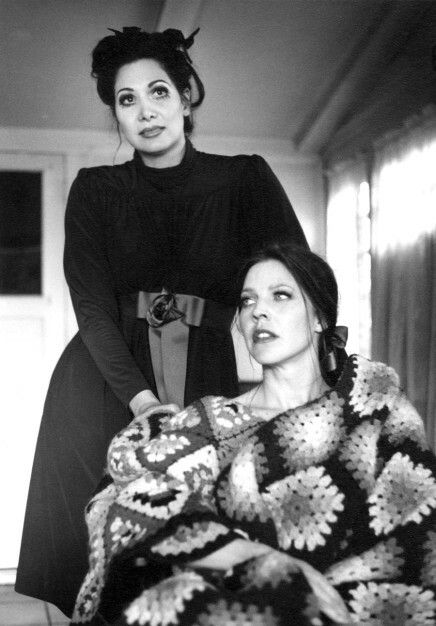 In Sullivan's live and filmed performances, the dramatic process employed by actors to re-create a scene is itself the spectacle on display. 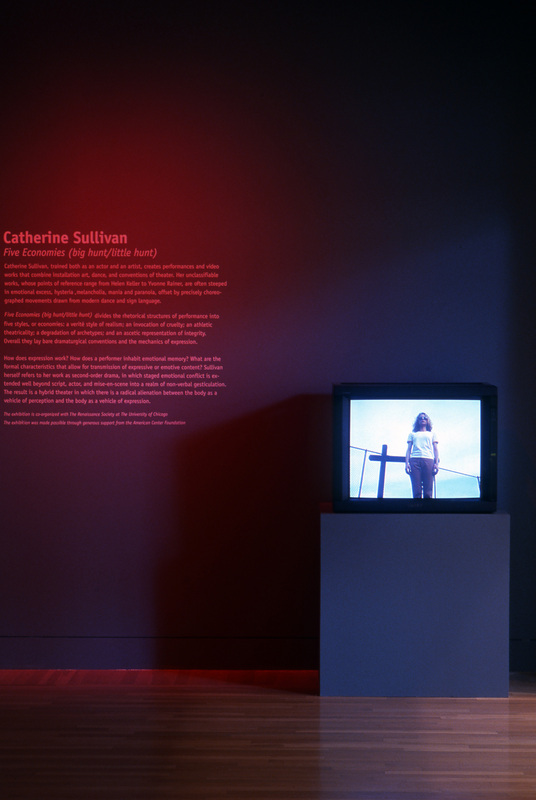 Sullivan's work examines the ways in which the meaning of a particular scene, moment or gesture changes according to the style or mode in which it is choreographed and performed. 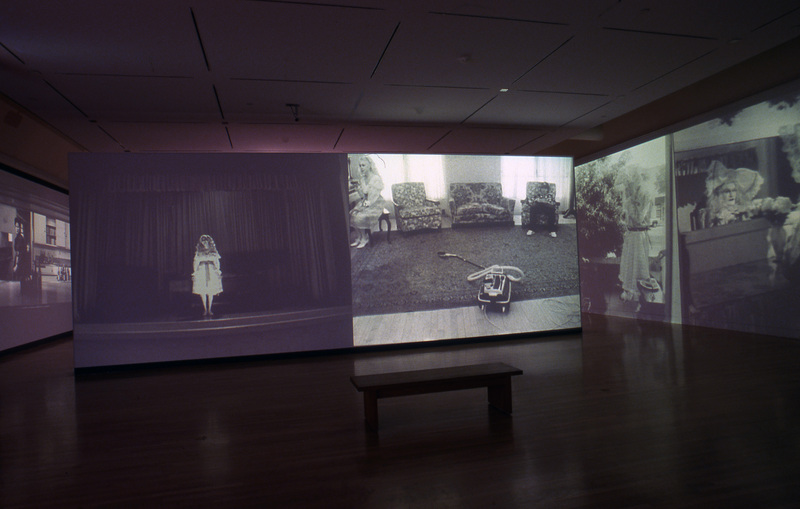 This multi-media installation's main component is a five-screen video projection. 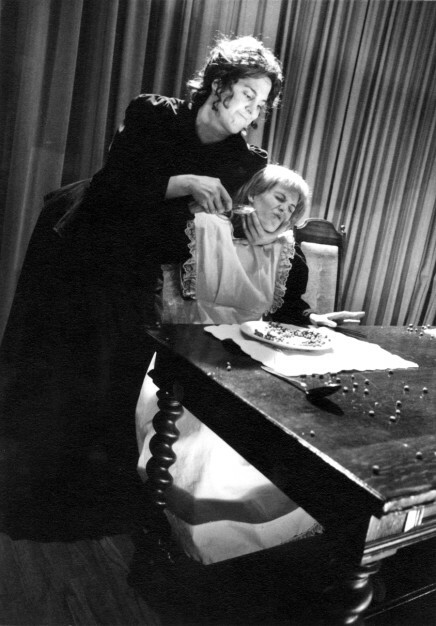 The silent black and white footage in Five Economies consists of various dramatic scenes, which have been re-choreographed and re-staged multiple times, using different acting styles and approaches to movement and gesture. The exhibition was made possible through generous support from the American Center Foundation, and support for the catalogue was provided by the Elizabeth Firestone Graham Foundation and the Elizabeth F. Cheney Foundation.